The gallery will be closed on Friday, Apri 19th. 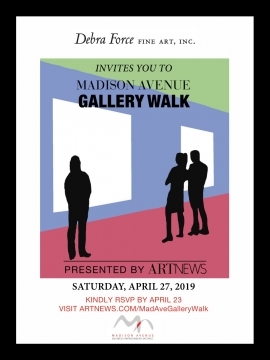 Join ARTnews and the Madison Avenue Business Improvement District for the third annual Madison Avenue Gallery Walk, Saturday, April 27, 10am-7pm. This free event invites the public to visit 46 galleries and attend over sixty events led by industry experts on Madison Avenue and its adjacent side streets from East 57th St to East 86th. 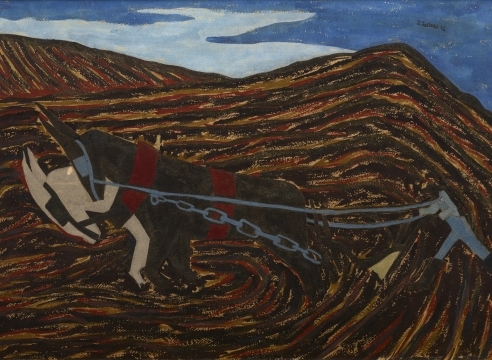 Debra Force Fine Art will be open from 10am-6pm with gallery talks on American Modernism at 12pm and 3pm. See link below for additional details about the Gallery Walk.